I’m a university educated nutritionist, but in this crazy new era where every man and his dog seems to be an expert on nutrition, I’ve decided to change professions. I’m going to become a pilot. I’m not going to do a course or anything, maybe eventually I’ll do an online course but for now I will spend many hours researching – watch some youtube clips and read piloting blogs. I’ve been on a plane quite a few times and so I have a pretty good handle on the best way to fly a plane. I’ve got this new idea of how to fly a plane too, no one has ever done it before the way I want to do it, but that’s why it’s going to be really great, because all the pilots you’ve ever flown with have been doing it wrong anyway. They’re only out to make money off you and they’re paid off by the big corporations. They also just get stuck in their own ways of what they were taught at pilot school and aren’t courageous enough to try new life-threatening techniques that haven’t been tested out before. If you fly on my plane, your life will be in my hands, but it’s ok, because I won’t hold a qualification…meaning I can’t be sued if anything goes wrong when I’m flying the plane, because I won’t be an actual real pilot. And then, when I’ve flown my plane and done a triple quadruple somersault and landed at 200km an hour using no brakes, without dying, I’ll write a best-selling book about it and inform everyone that my way is the ONLY way and I’m living PROOF that it is safe and effective. WOULD YOU TRUST A PILOT WHO HADN’T BEEN TO AVIATION SCHOOL? WHO’S KNOWLEDGE OF DRIVING A PLANE EXTENDED ONLY TO WHAT HE HAD READ ON BLOGS? Take home message: Seek your nutrition info from reputable sources, qualified professionals who have studied more than just the basics and work in the field every day. 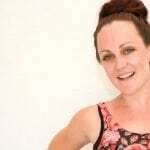 Tara is a university qualified nutritionist renowned for her no-nonsense approach to nutrition and health. A new mum and keen cook, she debunks popular nutrition myths, teaching people how to live a healthy life without the fad diets. Tara is passionate about advocating for a fear and guilt-free way of eating, because life is too short not to enjoy a slice of chocolate cake.